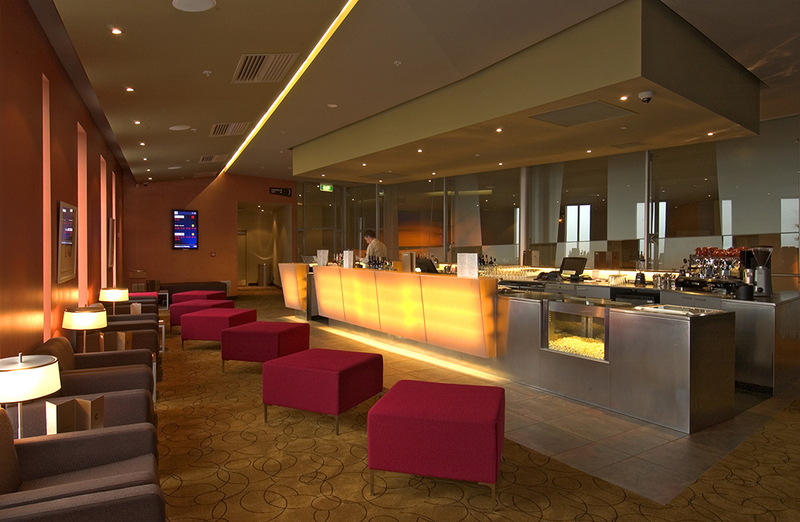 A bold design concept helped Berkeley Cinema Group create a completely unique cinema experience for movie-goers at its flagship complex in Botany Town Centre. 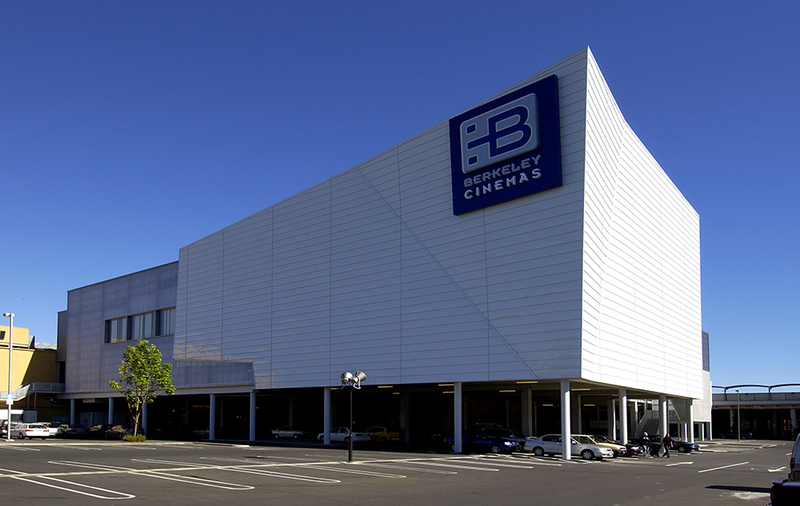 As part of the development of its 1,767-seat Botany Town Centre Complex, Berkeley Cinema Group wanted to raise the standard of the movie-going experience in New Zealand and promote its focus on offering patrons the highest quality seating, service and viewing. 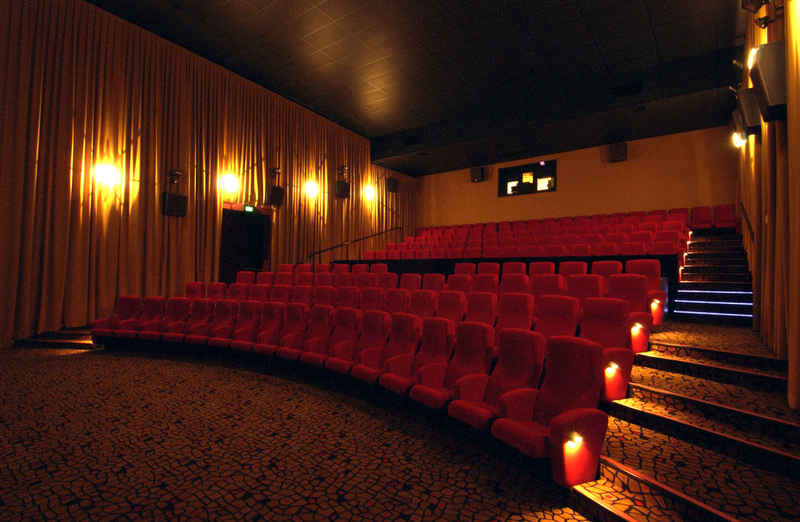 The Botany Town Centre cinema complex consists of eight theatres, ranging in capacity from 114 to 491 seats. 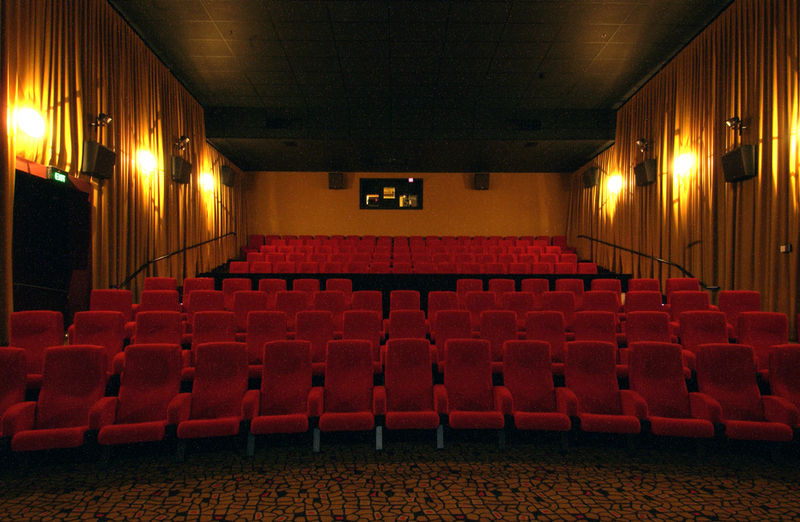 The largest theatre includes 57 luxury leather recliners and a 23 metre screen. 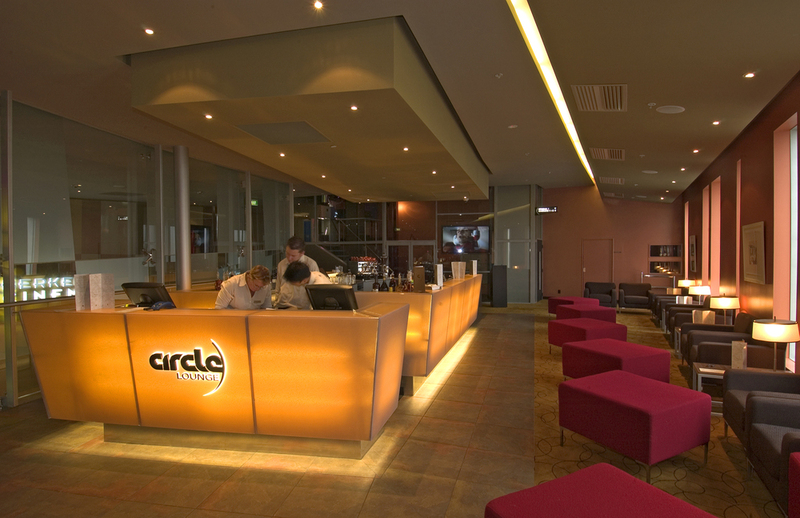 To achieve the client’s objective of a next level movie-going experience, the design included a premium ‘Circle Lounge’ space where patrons can enjoy a pre-show drink and tapas-style food in a relaxed, high calibre environment. In order to create a completely unique experience for movie-goers, the design of the cinema complex was founded on the concept of a transition from reality to fantasy. Conscious manipulation of simple mass forms, along with the scale and crafting of internal and external elements of the complex, creates a surreal experience for patrons from the moment they arrive. The building’s large external envelope is made up of a number of big boxes, with intersecting angles and planes. The main cinema box, with its large vertical planes, acts as a dramatic landmark for the development. The use of lighting against this large mass creates an extra element of drama at night, and the sharp edges and distortion of the large, angular planes also creates an engaging perspective and emphasises the corner site. In the main foyer of the complex, large angular planes create a dramatic narrowing perspective and prepare patrons for the cinema experience. 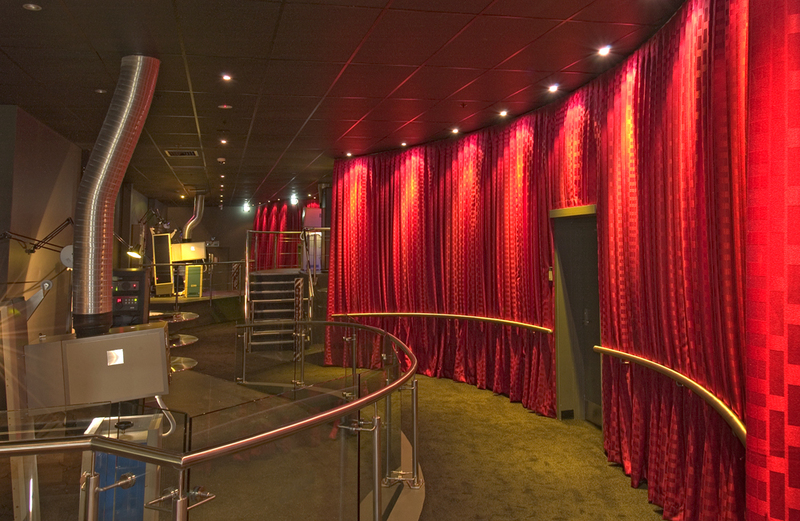 This space is inter-cut with an enclosed upper-level mezzanine lounge bar area that provides a more intimate environment for the cinema’s ‘circle lounge’ luxury experience.